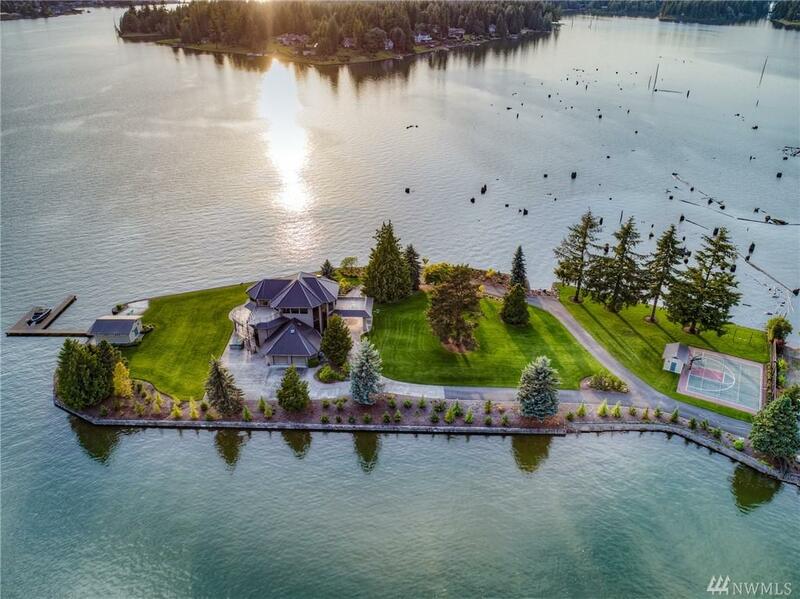 Grand Lake Tapps Masterpiece. 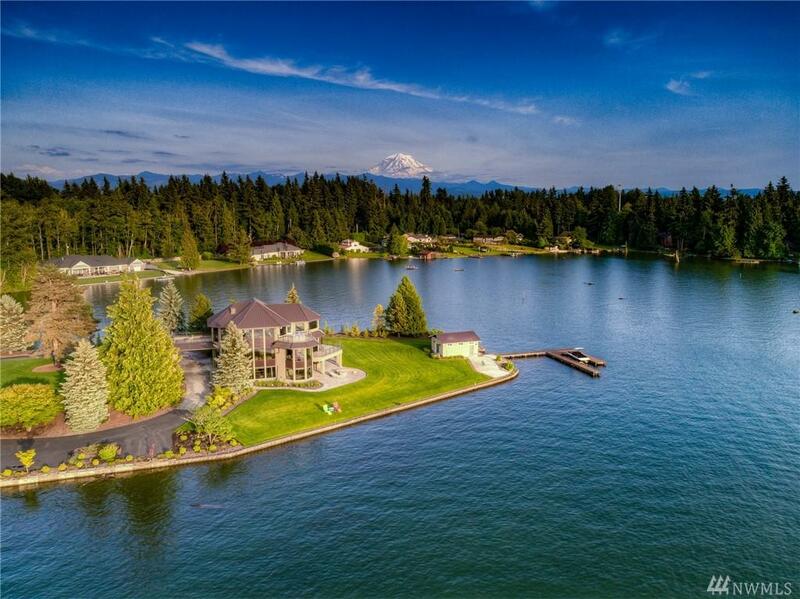 Located on 1,200+ ft of waterfront on 2.38+ acres & 2 tax parcels. Exceptional chefs kitchen w/professional grade appliances, extensive use of slate, hardwoods, bamboo, tile & granite throughout. 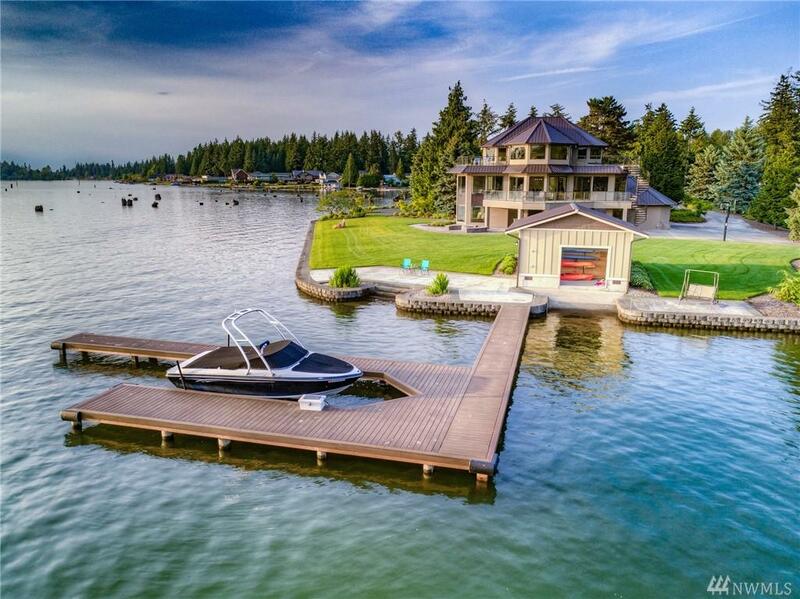 Multiple decks, floor to ceiling windows, outdoor kitchen, radiant heated flrs, 2 laundry rooms, boathouse w/ heated shop, trex dock, 2 boat launches, metal roof, prof. landscaped grounds, sport court, custom irrigation system. 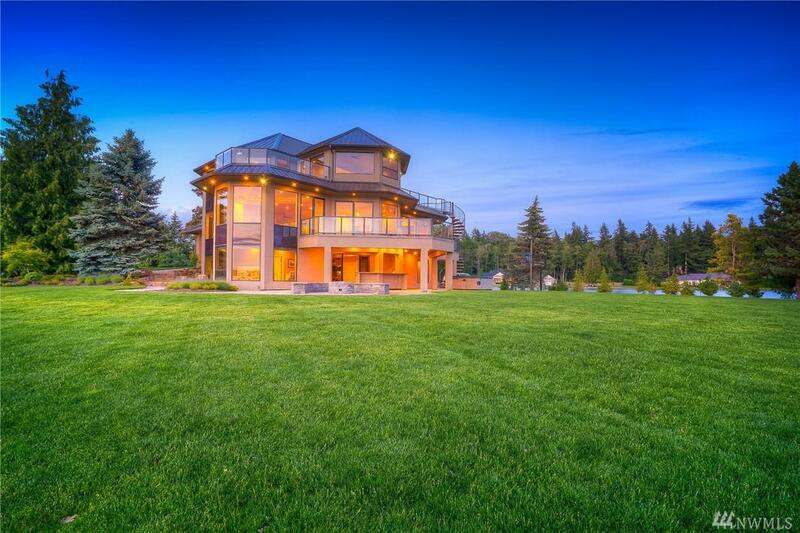 Endless amenities. A rare & precious gem.